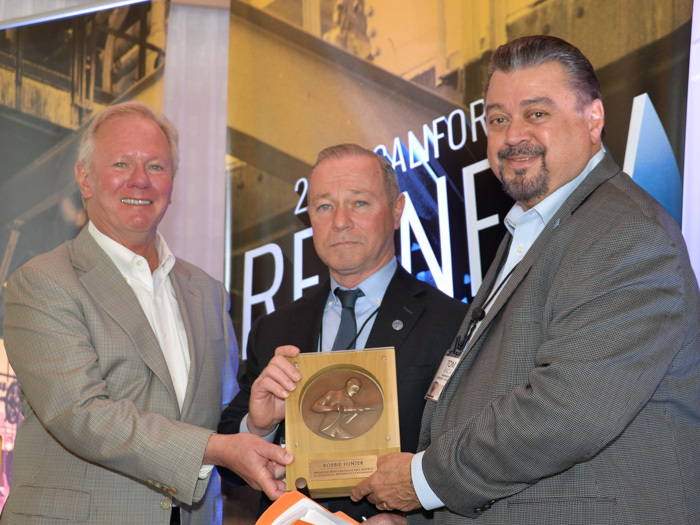 California State Building and Construction Trades Council President Robbie Hunter, with IP Jones and Western States IVP Tom Baca, receives an award for his longstanding partnership with Boilermakers. IP Jones welcomes refiners, contractors and Boilermakers to the first California Refinery Tripartite. Dr. Peter Philips outlines what the volatile demand for construction means for Boilermaker construction work. California State Building and Construction Trades Council President Robbie Hunter stresses the importance of a tripartite alliance for mutual success in California. 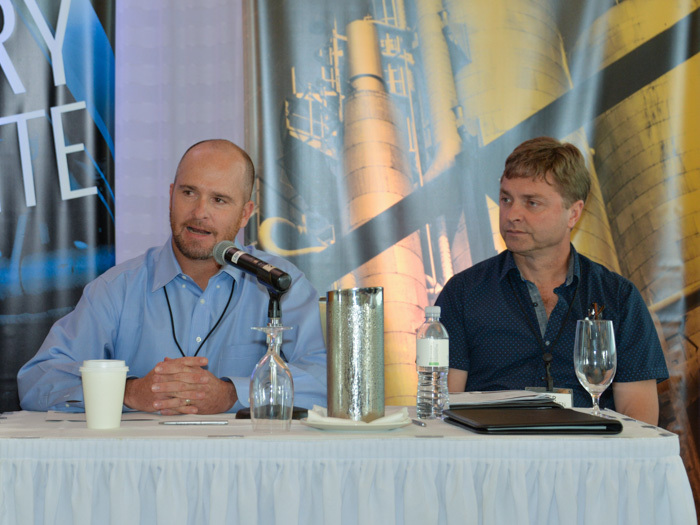 Boilermakers’ Western States Joint Apprenticeship Program Coordinator Collin Keisling and Per Lorentzen, Construction Manager for Chevron’s Richmond Refinery, lead a panel discussion on the advantages of using apprentices and helpers. WHEN THE IDEA to convene a California refinery-focused tripartite was first envisioned, Western States International Vice President J. Tom Baca anticipated 40 to 50 refiners, contractors and Boilermakers would attend the inaugural event hosted by the Brotherhood. But when more than 175 participants turned out for the first-ever California Refinery Tripartite, March 19-20, in Redondo Beach, California, the message was clear: It’s the right time to create a solid refinery alliance and move toward the future, together. Among those in attendance were 31 refinery owner representatives, 25 contractors and ten new signatory contractors. Refineries represented included Andeavor, Chevron, PBF Energy, Phillips 66, Shell and Valero. 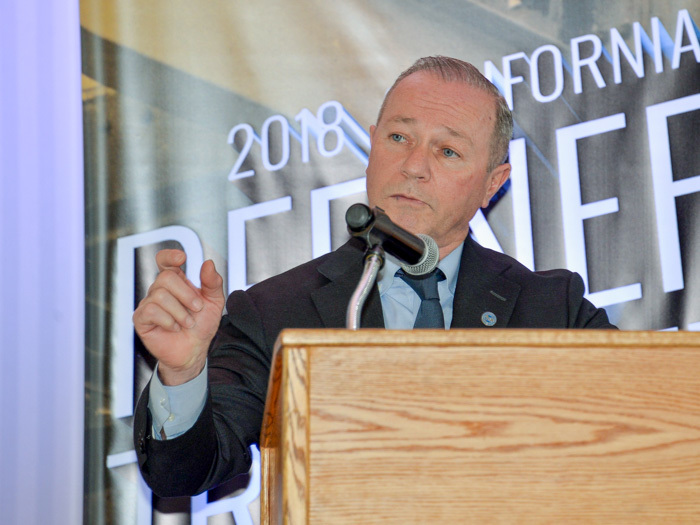 “I hope this is the first of many meetings Boilermakers will have [with refiners and contractors] and the beginning of lasting relationships that will benefit us all, together in this new Refinery Tripartite Alliance,” International President Newton B. Jones told tripartite attendees. Conference participants heard presentations on industry developments in health and safety, training, and project planning and turnaround scheduling. Top of mind throughout the two-day event was the California passage of SB 54, the law that requires 60 percent of refinery contractors’ workers to be journeymen who have graduated from a state- or federally-approved apprenticeship program. The idea behind the law is to engage more skilled, well-trained craftsman as a means of increasing quality and safety. That means more refiners and contractors are working — or will want to work — with union Boilermakers, who meet the state’s new requirements. 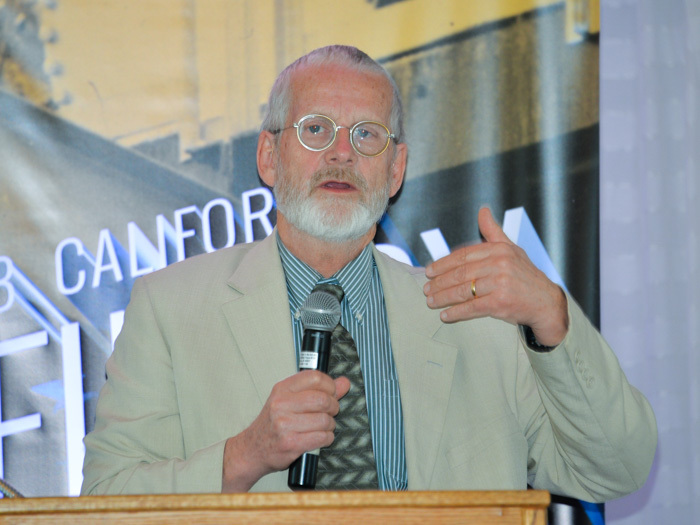 Peter Philips, Ph.D., professor and economics chairman at the University of Utah, who has studied the construction industry for more than 40 years, shared insight into construction “Boilermaker Manpower.” He described the “volatile and turbulent” nature of manpower demand and its effect on Boilermaker work. He married Boilermaker man-hour data with governmental industry data to analyze future opportunities and challenges. Robbie Hunter, President of the State Building and Construction Trades Council of California, stressed the importance of the Refinery Tripartite Alliance. Hunter has long worked in partnership with IVP Baca on innovative union growth strategies in California. “We really need the partnership. We want to upgrade the workforce to give you (the refinery owners and contractors) the success you need,” Hunter said. 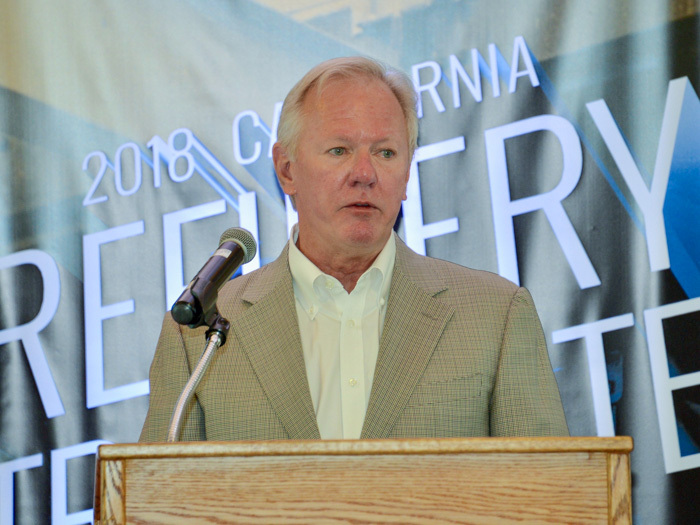 Plans are in motion for the Boilermakers to host another California Refinery Tripartite conference and make it an annual event.